You will receive: 1 Denon DP-29F Black Analog Turntable. The DP-29F has been designed to give you maximum enjoyment out of your valuable collection of analog records. The DP-29F features an automatic system that starts the music at the simple touch of a button, and when the music stops, the tone arm automatically returns to its original position and the turntable stops rotating. The DP-29F also includes a PHONO (MM) equalizer, enabling you to connect the turntable directly to an integrated amp that does not have a PHONO equalizer. The turntable has been precision manufactured with a rigid diecast aluminium to produce uniform inertial mass for perfectly stable turntable rotation, an essential component of high fidelity sound during playback. The DP-29F employs an automated system that starts playing the record with the single touch of a button and finishes play at the end of the record by returning the tone arm to its original position and stopping turntable rotation. 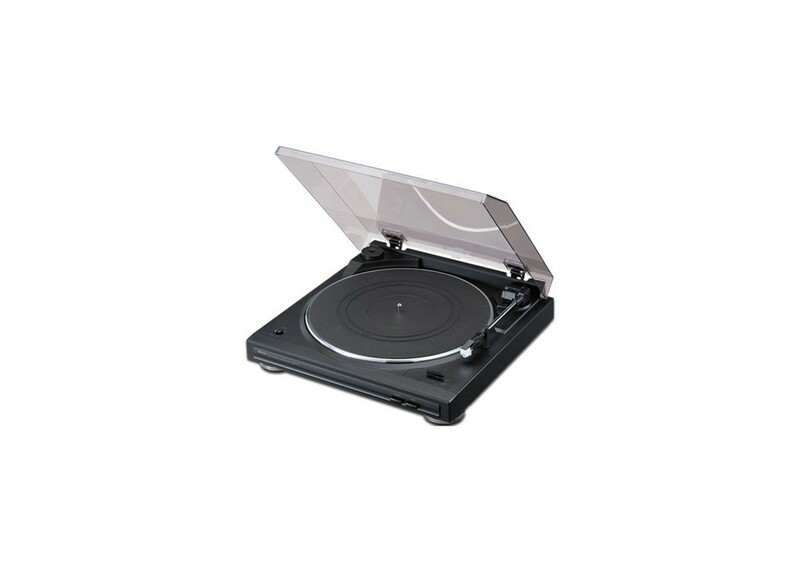 This system ensures that you do not inadvertently scratch your records when you play them. Since the DP-29F includes a built-in PHONO equalizer, you can connect the unit to an integrated amp that does not have its own equalizer. The DP-29F comes with an MM cartridge so that you can begin to enjoy your analog record collection as soon as you connect the DP-29F to your home hi-fi system.